Becoming stuck in recovery can be problematic because it could put you at high risk of relapse, unless you are able to figure out a way to start moving forward again. This means you need to identify the problem fast and take action to rectify the situation. 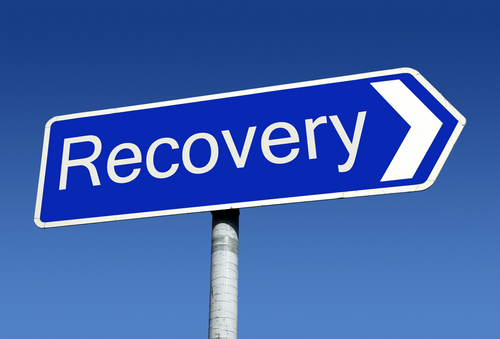 Here are ten of the most common reasons why individuals become stuck in recovery. Problems can occur when you stop making recovery your number one priority. This happens when you begin to take your sobriety for granted; you become overconfident, which means that you stop doing the things you need to maintain your new life. You must keep in mind that this is all it takes is to pick up the drinks and drugs again once, so you could be right back where you started. You need to keep working on improving your new life or you are at risk of losing it. At Alcoholics Anonymous, they advise new members to ‘stick with the winner’, and this is good advice for anyone. If you spend too much time around negative people, they will pull you down to their level. You will also be in danger if you are spending a lot of time with those who are still abusing alcohol or drugs. In order to keep your sobriety strong, you need to be around people who will nourish and encourage you. There may have been people who really wronged you, but it is vital that you are able to let go of your resentments. This is because the only person who you are hurting by carrying this anger is yourself; have you not already suffered enough? Resentment leads to stinking thinking and means that your mind is overrun by negativity; when this happens, you stop making progress in recovery. Successful living involves regularly having to deal with, and overcome, challenges; it is just the way it is. Every time you master one of these obstacles, it causes you to grow and adds to your feeling of mastery over life. In the past, you used alcohol or drugs to avoid facing these challenges, but this cannot be an option in recovery. If you are dealing with a challenge in recovery that you are not prepared to face, it will cause you to become stuck and you will not be able to make further progress until you deal with this issue. It’s really sad to see but many people go to all the trouble of breaking away from an addiction to alcohol or drugs only to walk right into a new type of addiction. This can include things like workaholism, exercise addiction, internet addiction, or shopping addiction. These ineffective coping strategies are a way for you to avoid dealing with life, and so long as you engage in them there can be no further progress. There is also a very high risk that these new addictions can lead you right back to your old addictions. Motivation is like a type of energy that is in limited supply; you can run out of it unless you keep on topping up on this precious commodity. There are many effective options for renewing your motivation, including joining a fellowship, attending out-patient group therapy, or helping individuals still struggling with addiction. It can also help to regularly read inspirational books or watch motivational talks on YouTube. You need to be mindful to regularly refuel your motivation or you could just run out of steam. In order to do well in sobriety, you need to commit to a more honest way of living. This is not about becoming a goodie-two-shoes but you need to understand that guilt is one of the driving forces of addiction. If you are behaving unethically, it will make you feel bad about yourself, which then means that you will be at high risk of relapse. If you have been behaving badly, you need to make amends and return to a more sober approach to life. Some people fall into a downward spiral of negative thinking that leads them to develop dry drunk syndrome. The person is described as a ‘dry drunk’ because although they are physically sober, they are acting in many ways as if they were still in the midst of addiction. The dry drunk is caught up in stinking thinking, which can include cynicism, pessimism, resentment, and a feeling of unsatisfied entitlement. Most people only develop dry drunk syndrome for short periods, but some fall into this trap for much longer. Even if these individuals manage to stay sober, they will not be getting much out of sobriety – it will feel more like a prison sentence than anything else. Dry drunk syndrome is a real drain on motivation and hope, and the longer the person remains trapped in this mode of thinking, the harder it can be for them to escape. It is common for people who become addicted to alcohol or drugs to share certain personality traits such as impulsiveness, inability to delay reward, high tolerance for deviant behaviour, love of nonconformity, impulsiveness, and demand resistance. If you have these traits of addictive personality in recovery, it can continue to cause problems in your life. This is why it is so important to keep on chipping at way at the less useful parts of your thinking so you can become more secure in recovery. The goal of sobriety is progress and not perfection, but it is important to gain control over some of the most dangerous character traits such as impulsiveness. If you do not tackle these unhelpful aspects of your personality, they will continue to hold you back and cause you to become stuck. Sobriety means that you need to break away from all mind-altering chemicals. Even if you have never abused these other substance in the past, it does not mean that you are safe to use them now. Every substance abuser has their drug of choice, and this is the one they will tend to abuse for as long as it is available. If they stop using that particular drug, they can a make new substance their drug of choice – even if they have used it safely in the past.